Hello Readers... Today i have another Interesting post..Today i am going to share a New ROM which I have Tested on my own device.. The name of this ROM is "Oct Os " Like to the Developer's site . Its a Community build so there might be some bugs but I dint face any of the bug in normal use like : Calling and Browsing internet , Taking pics etc. 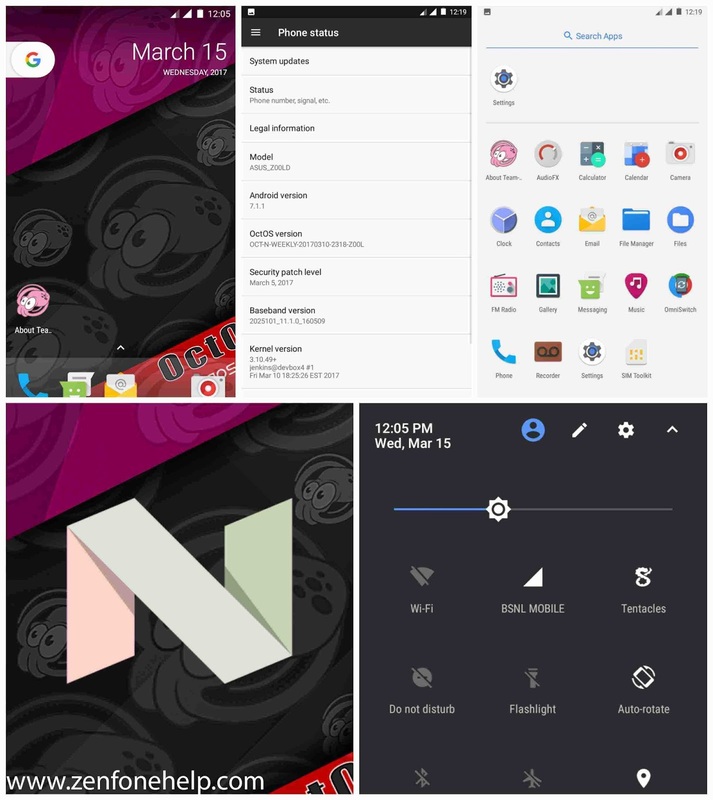 This ROM is based on New Lineage OS which was back then Cyanogen MOD. This ROM really works like Charm on my ZenFone(Zenphone) 2 Laser ZE550KL Smartphone.. I think It will work the same for all the Other Models Which it was Released for IE : Asus Zenfone 2 ZE551ML, Asus Zenfone 2 ZE550ML, Asus Zenfone 2 Laser / Selfie 1080P. 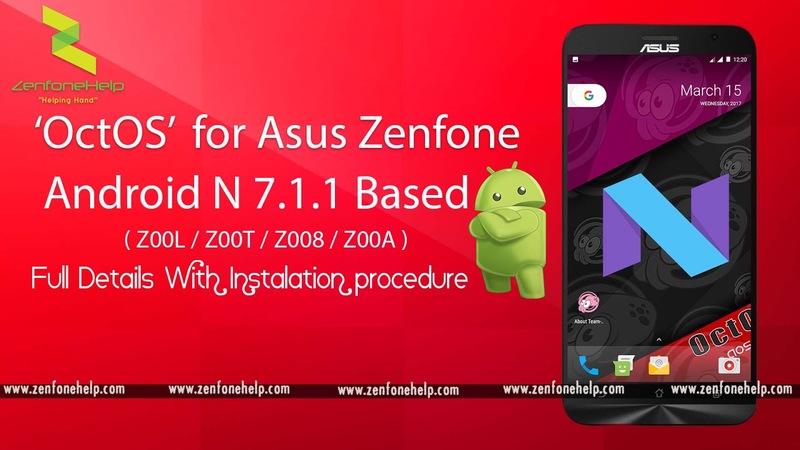 This Method was Tested and verified on Asus Zenfone 2 Laser ZE550KL Smartphone.. NOTE : I am Not Responsible if you make any kind of Damaged to your phone while doing this steps..
take backup of any important data you have on your Zenfone..
After Downloading the Appropriate Firmware and OpenGApps for your Zenfone 2 Models, You have to copy them to your Smart Phones External or Sd-Card Storage..
Now its time to get Flash these ROMS..
Now Boot Into your TWRP recovery by Pressing Volume down + Power Button for 3 Seconds..
Then go to Wipe and then choose advance wipe, From there tick on SYSTEM and Data then swipe to wipe the phone. Now move back to main menu by pressing back keys..
Now you go to Install and then choose your ROM package and swipe to Install the package on you Zenfone device..
Now back to main menu and also Install the OpenGapss zip same as the ROM. After the Process completed you will see a Reboot Button, Press on it and Reboot to your Zenfone 2 System.. Then the ROM will start and the Fist boot will take some time. don't be panic..
Q: Why isn’t there XYZ feature? Q: But CM and all the others have..
A: ROM developers, including CM, build something they want to use. The ROM developer that includes something they won’t run implies less than 100% effort to ensure it does work. As a team, we have similar goals and objectives. If XYZ ROM has a feature you want, and we don’t include (or don’t want to include), feel free to use XYZ ROM, or build your own custom version of Oct-N.
A: Team OctOS uses SuperSU and is installed. Now you have successfully Installed the ROM and you can Enjoy the device with new look.. If you face any difficulties then comment below and i will solve then for you.. Have a nice day.. If you want to write for us then please comment below and we will be happy to add you on our team..